Okay, you have made up your mind. You are going to be a horse player. You live near an off-track betting site and you think you have mastered the techniques of horse handicapping. That's fine. Now you take your hard-earned cash and head for the site to earn some money. Before you make your wagers, there are a couple of questions I would like to pose to you. First, what track do you intend to play? If your answer is 'All of them,' I would strongly urge you to put on the brakes. Such a response is not acceptable. Nobody can play all tracks successfully. Race tracks are like people.They have individual personalities. 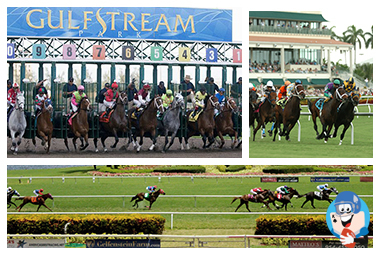 The horses don't run the same at Gulfstream, for example, as they do at Santa Anita or Penn National. An old horse player who did a remarkable job of picking winners once told me, 'You can beat a race but you can't bea the races.' That same candid remark can apply to race tracks. It isn't easy to become a successful horse handicapper. If you choose the wrong track, one where biases swing into effect, and you fail to study and understand those biases, you may spent a lot of time and money betting on losing horses. Some tracks, for example, lend themselves to speed ratings while others don't. 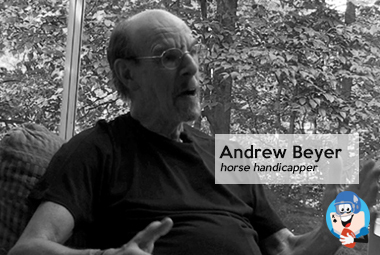 Andrew Beyer is a brilliant horse handicapper, but his Beyer rating system doesn't work the same way on all horse tracks. It is up to you, the individual horse handicapper, to do the research to discover if his rating system works at the tracks you want to play. How do you determine which track to play? One good method that won't cost you any money is to observe some races before you invest any money. Now could give you a list of tracks that I will not play because they have cost me a lot of money in the past. I have picked out a race track that treats me well and will be playing this particular track for the simple reason that it treats my bankroll well. I like to enjoy myself when I am playing the races. And I enjoy myself much better when I am winning than when I am losing. I strongly urge you to sit out the first few races. Make notes no which horses you would have bet and how they finished. Once you have added up some good paper profits, you an reach for your wallet and make a bet. Just like there is always another bus coming, there is always another race that has not been run. Your goal should be to find the track that works to your advantage. In my younger days when I didn't know much about horse handicapping, I leaned on the advice of the other players. They told me, for example, that if there is only one horse in a race that has early speed, that is the animal to wager on. If there are several horses with early speed and only one closer, that is the horse to bet. This system still works fairly well. However, there are many factors that go into determining the outcome of a race. That is why becoming a good handicapper is a lifelong study that nobody can totally master. A horse with an outstanding workout could be a good bet. However, the horse's past history must be considered. If the horse is a morning glory that works out well but doesn't perform in front of a roaring crowd, look for another choice. A first-time lasix user can also be a good bet. Lasix helps a horse breathe better and can be the tool it needs to win. But some horses require two or three treatments before they are in condition to run well. Be aware of that before you bet. Once you have a track that you feel comfortable with and one that has produced winners on paper, that is the time to release your funds. Let me know how this works for you at the track. I will publish the more interesting stories. Good luck.